TOKYO -- Carlos Ghosn was voted off the Nissan board as shareholders stripped him of his last position at the Japanese automaker following multiple arrests for alleged financial misconduct, the latest coming last week and accusing him of diverting funds for personal use. At a specially called meeting April 8, shareholders also appointed Renault Chairman Jean-Dominique Senard, 66, to replace Ghosn on the board. Senard is expected to be vice chairman. The vote also removed American Greg Kelly, the former director indicted as Ghosn’s conspirator in an alleged scheme to hide some $80 million of deferred compensation for Ghosn. Nissan CEO Hiroto Saikawa opened the gathering by bowing in apology for the misconduct scandal that has rocked Nissan and its 20-year partnership with French automaker Renault. Saikawa recounted the allegations of misconduct against Ghosn and outlined the steps Nissan has taken in the aftermath to improve corporate oversight and prevent a repeat. Nissan’s board removed both Ghosn, 65, and Kelly, 62, as representative directors and Ghosn as board chairman in November, just days after both were arrested Nov. 19. Representative directors have special rights, such as the ability to sign financial contracts for the company. But both had kept their status as ordinary directors. Only a shareholder vote can excise that. Both men deny any wrongdoing. But the arrests triggered upheaval at the Franco-Japanese automotive alliance, for a period even throwing its future in doubt. Renault and Nissan initially seemed at odds over the allegations swirling around Ghosn, but in recent weeks, Renault has found more common ground, flagging its own suspicious transactions during Ghosn’s tenure. The scandal has meanwhile spurred a wave of corporate governance overhaul at Nissan. The aim of the reforms is to avoid a concentration of power in one individual -- a lapse that critics say allowed Ghosn to abuse his influence and prevented others in the company from stopping it. “This situation revealed misconduct violating corporate ethics and brought to the surface the risk of depending on a signal individual to run the company,” Saikawa said. One shareholder urged Saikawa to resign to take responsibility for the scandal. Saikawa acknowledged that the current management bears responsibility for letting the misconduct happen. But Saikawa reiterated his stance that he is now obliged to clean up the mess. Saikawa added that Nissan plans to eventually file for damages against Ghosn. Regarding corporate reform at Nissan, director Keiko Ihara said a preliminary nomination and compensation committee is reviewing possible directors for a reconstituted board that will likely have a majority of outside, independent directors. The committee, on which Ihara serves, already has 100 names nominated by international consulting firms, she said. Nissan’s announcement of a shareholders meeting was a partial olive branch to Renault, the Japanese automaker’s biggest shareholder. 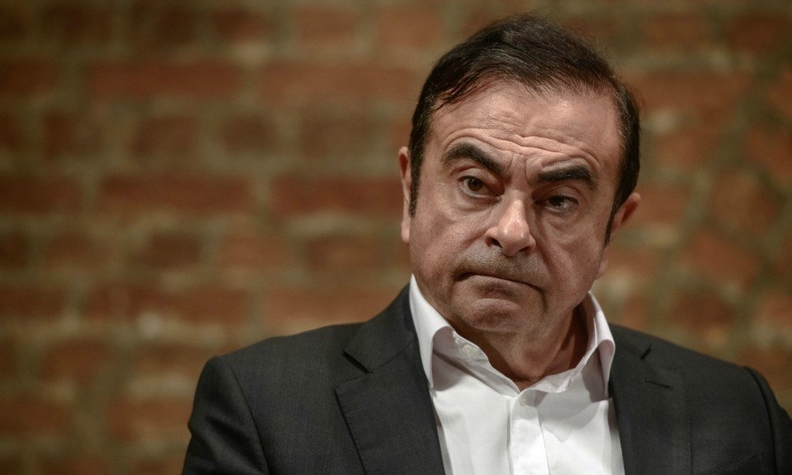 Renault had asked Nissan late last year to call a meeting to discuss Ghosn’s alleged misconduct. Saikawa initially rebuffed the overture. Nissan’s annual shareholders meeting is traditionally scheduled for June. By that time, Nissan hopes to have a slate of corporate governance reforms ready for shareholders to approve. Prosecutors arrested Ghosn for a fourth time April 4 on breach of trust suspicions for allegedly causing some $5 million in damages to Nissan by diverting company money to personal use, while Ghosn was CEO and chairman of the Japanese automaker. Ghosn was sent back to the Tokyo detention center where he spent 108 days following his initial arrest. He was released on $9 million bail on March 6 and was free for less than a month. A court approved the extension of his current detention through April 14. The breach-of-trust indictment alleges that Ghosn temporarily shifted 1.85 billion yen ($16.5 million) in personal swap contract losses to Nissan and had Nissan pay $14.7 million out of the CEO Reserve to a business associate who allegedly helped Ghosn clear the red ink.